Check out this hot Find of the Day deal at Sport Chek Canada! 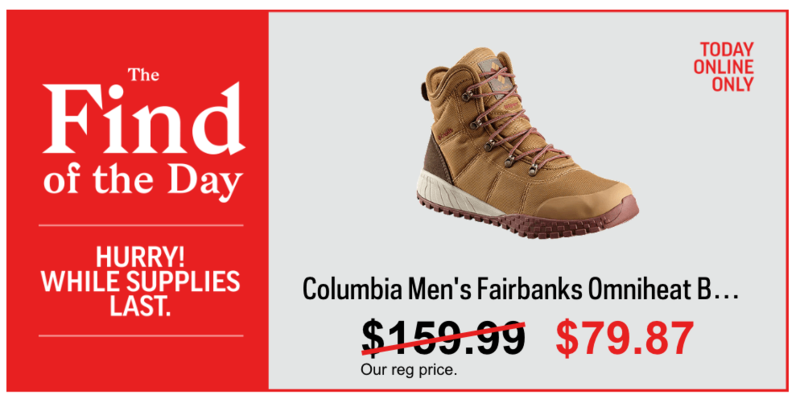 Today only you can save 50% off Columbia Men’s Fairbanks Omniheat Boots – Elk and get it for only $79.87. The Find of the Day is available today online only, while supplies last. 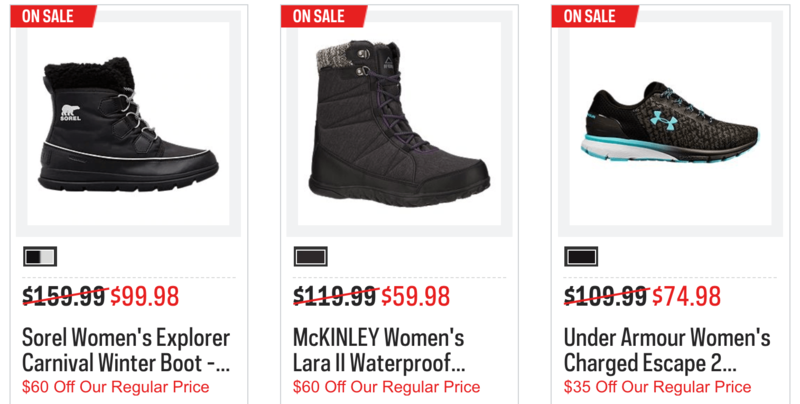 There are also some great weekly deals going on at Sport Chek with doorcrashers up to 50% off! Get FREE shipping on your order using the promo code SCSHIP at checkout. Click here to start shopping at Sport Chek Canada.